whip. Continuously adjustable loading coil is 36 inches long by 2 inches in diameter and weighs 2.6 pounds. mobile or limited space operation. loading coil. The loading coil is made of tin plated copper wire wound onto a PVC pipe core. antenna to a tripod. 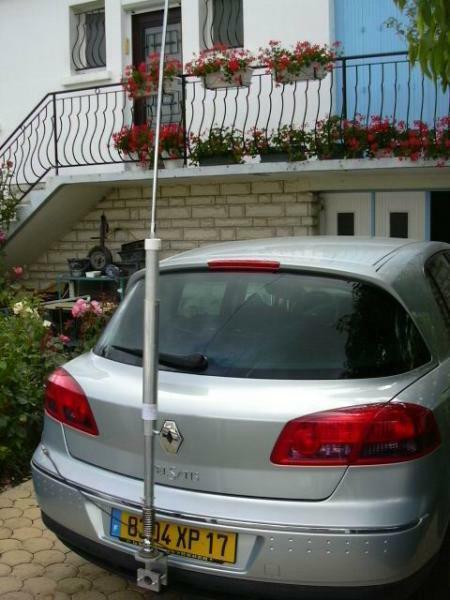 The antenna must be properly connected to a ground radial system. 1. Remove the antenna from the packaging. 2. Place a 3/8“ lock washer onto the 3/8 X 24 thread of the desired whip. 4. Secure the whip in place with a 9/16 wrench. 5. Place a 3/8” lock washer onto the 3/8 X 24 mount on the base of the loading coil. 6. Screw the antenna into the desired mount 3/8 X 24 female mount such as the MFJ-342. 7. Secure the antenna in place using a 9/16” wrench. or similar mount attach the ground radials to one of the ¼” bolts located on the mount. LOCK WASHERS FOR MOBILE INSTALLATIONS. ALWAYS USE LOCK WASHERS FOR MOBILE INSTALLATIONS. 6. Screw the antenna into the desired mount. does not come into contact with the screwdriver antenna. attached to the coax shield depending on your installation. for proper operation. Follow the steps below to choose the desired operating frequency. 1. Check to see that the antenna is setup properly as instructed above. 2. Extend the whip to the full length. shorted out. The coil is completely shorted when the coil is completely covered. the thumbscrew and check the SWR as was done in step 3.
above steps to find additional operating frequencies.